This Blueprint provides analysis and a research framework tosupport policymakers, first responders, industry stakeholders and community members strengthen our resilience to future disasters. The path to a sustainable and resilient future is paved by the decisions we make today, and our work seeks to support positive evidence-based action. 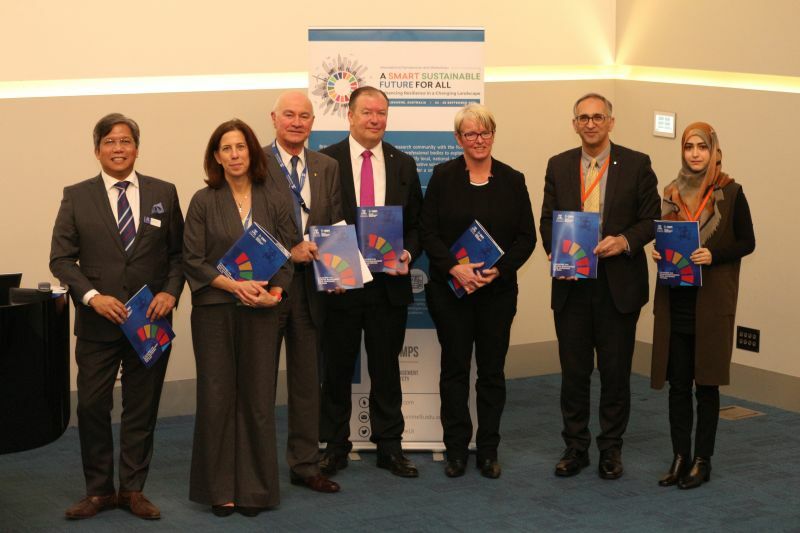 Senior executives from major government and international organizations attended the launch and commented on the significance of the research, including: Anna Wellenstein, Director of Strategy and Operations, the World Bank Mark Crosweller, National Resilience Taskforce, Department of Home Affairs, Australian Government; and Assistant Commissioner Debra Abbott, Victoria Police. About the blueprint, Anna Wellenstein said, "I was really excited to learn about the blueprint. I think unless we really know what progress we’re making, and we have targets – it’s hard for us to learn from each other – one country to the next – about what’s a really effective policy and program and what’s not, and it’s really hard to see if we’re on the right track or not… It’s quite an accomplishment that the team here at the University of Melbourne was able to put together a plan and I look forward to its discussions with a lot of the countries and international agencies." You can download the blueprint here – we hope this roadmap will encourage further discussion, collaboration and research towards a smart and sustainable future.